Ever since Rihanna came back on Instagram it seems like people just won’t let Karrueche be. I am one of those who think Rihanna and Chris Brown make a good couple but I promise I’m not one of those on the “you must, you must” band wagon. Ok maybe I am a little guilty seeing as I also can’t stop talking about the duo but it really isn’t do or do. lol. 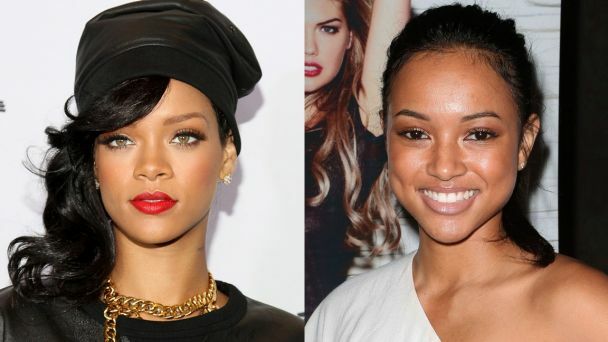 I sorta feel bad for Karrueche though because it seems no matter how hard she tries, as long as she is with him, she will always be in Rihanna’s shadow. That is one of the biggest issues with high profile relationships. If two high profile people are dating and they break up, the new partner has to accept that that comparison may always be there. This happens most especially to ladies. If JayZ should split with Beyonce today, no other woman he dates will come close to being as important in the eyes of their fans. Trust the Navys to come for him. Besides commenting on his page that “The Queen” (Rihanna) is back, they went as far as taunting him and Karrueche (who by the way I can never get the spelling of her name right uggh!). They were also busy fighting anyone who opposed their views. It was total drama fest over 1 picture. He has since deleted the post. Chris Brown and Rihanna fans need to let these two do their thing. If they do get back together (which I seriously doubt at this point – sad face), then so be it. In the mean time, its only fair to allow Karrueche enjoy her boo.